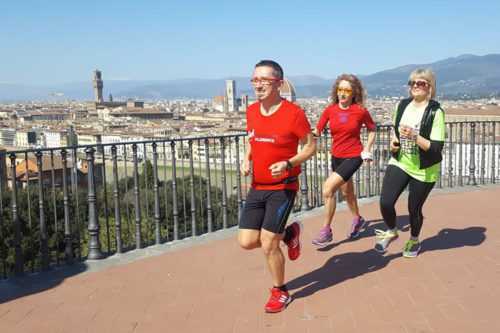 A running tour that passes Florence’s most beautiful and famous squares and architectural pearls. Starting from the former center of the roman “Florentia” during this running tour you will pass through the medieval heart of the town and see Piazza della Signoria, the Uffizzi, Ponte Vecchio, some hidden corners and surprising spots like the old city walls. This running tours is a dive into history and beauty suitable for every kind of runner, and will be a nice experience that you’ll bring back home as a special memory. The tour duration is up to your personal pace, but just to have and idea it usually takes from one to almost one and a half hours.